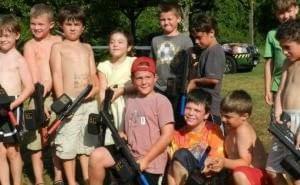 New England’s Best Laser Tag Birthday Party! Why is Rolling Video Games of New England the best kids party idea? 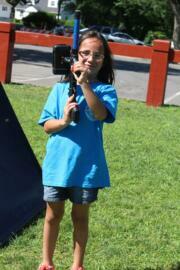 ​We bring our amazing Laser Tag! All the fun of paintball….without the paint, pain or mess! Everybody goes home happy…and Mom and Dad are thrilled! ​Are you looking for unique kids’ birthday party ideas? Are they getting too old for yet another Princess or Super Hero party? Tired of booking those expensive laser tag and paintball places or bowling alleys? Look no further…The best laser tag place in Connecticut comes to you! You get all the fun and excitement of laser tag and paintball combined into one, without having to deal with other parties or people at laser tag centers or the pain and mess that comes with paintball.​​Rolling Video Games of New England is completely mobile, so we come to you! Imagine how the faces will light up when they see the paintball-style course and the true paintball-style guns. We set up the complete course at the location you pick out. Your birthday boy or girl will be the envy of all their friends! ​We can even set up indoors! Conference rooms, gymnasiums…or outdoors in the woods, an open field, a park…even at the beach! So put away the pinatas and baby games…get creative with your Connecticut Laser Tag Birthday Party ideas! We’ve designed this extreme sport for ages 8 and up. While it has the look and feel of a paintball course, there is no worry over the mess, welts, bruises and injuries of paintball. 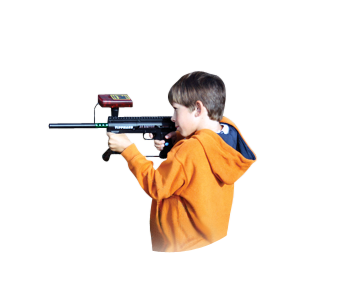 And unlike traditional laser tag, we’re the party that comes to your home or location. That means you don’t share the facility with others…and there’s no worry of car-pooling or other parents traveling!​Utilizing the Tippmann Barracuda paintball marker modified with an powerful and highly accurate Infrared (IR) transmitter/reciever, paintball has never been so portable, powerful, safe… AND FUN! A BLAST for kids and adults, boys and girls alike! Because we can utilize a unique “rotation” system, everybody gets to play. Each game lasts 5-6 minutes on average…then other guests rotate onto the playing field. Averaging five to six games per hour, a two-hour party can yield ten to twelve games. Your guests will play again and again! All Set-Up, Tear-Down and Cleanup! ​15 Invitations to send to your lucky guests!